Located between the Steamboat Ski Area and downtown, this 5 BD world-class home is an amazing work of architecture overlooking Rollingstone Golf Course. 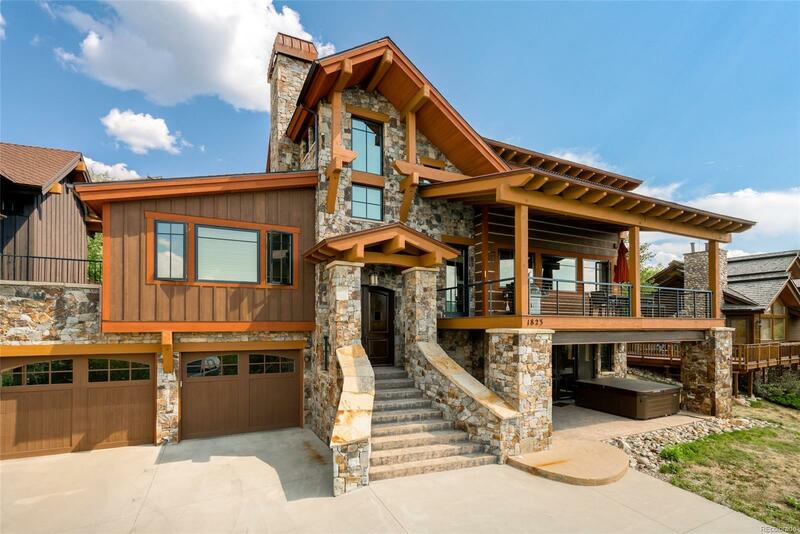 Transcendent in design, this mtn contemporary home offers stunning architectural details with 30 ft. vaulted ceilings, post & beam accents, and stone fireplaces. The home spans just under 5,000sf with picture windows for natural light, granite & stone countertops, custom cabinetry, and high-end appliances. The spacious gourmet kitchen opens to a covered deck for beautiful sunset barbeques overlooking Emerald Mtn & Sleeping Giant. The main level also hosts the master suite with a 5-piece bathroom and a spacious den that opens to a private back patio with a water feature that echoes through the home. The lower level has an additional family room with a walk-out patio and two bedrooms. While the upper level has a loft with two more guest suites. Across from Golf Course and 1.5 mi. to the Ski Area, this home resonates an active lifestyle.